Engage and increase your download with relevant users through organic search engines in the Application Store. Application Search Optimization (ASO) is a process of optimizing mobile apps to make it more ASO Friendly in the application store, it works in Android Play Store as well as the Apple Apps Store. Using ASO ensures your app to be discovered by relevant users. The main goal of ASO is to drive traffic to your App?s page, with relevant users reaching the page they can take a specific action which is downloading the app. This is crucial due to the fact 63% of apps are discovered through app store searches. When submitting your App to the Application Store, an online presence needs to be made, with an appealing visual in-app screenshots, planning an effective set of keywords, as well as designing an app icon that will attract customers, this is where our expertise comes in handy. Next Digital provides ASO service in application marketing and promotion. 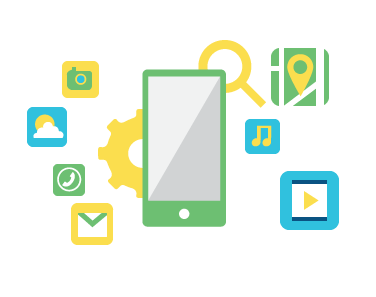 We offer the best way to grow your Apps with Application Search Optimization. We understand the urgency in making your Apps desirable for users as well as engaging with a comprehensive information.